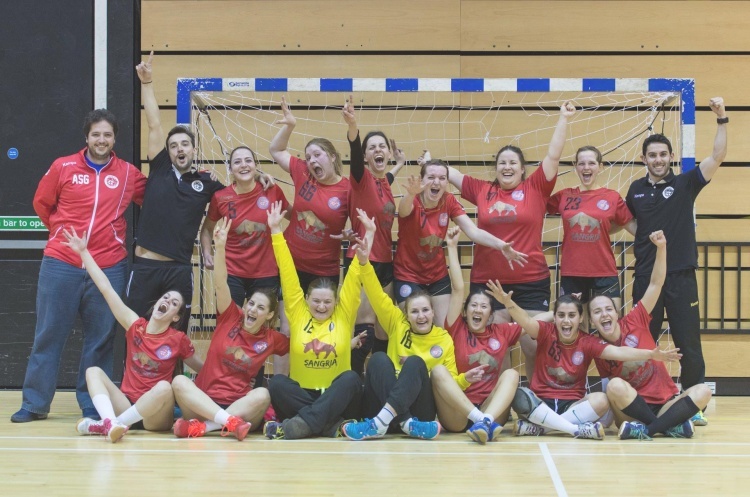 London GD have secured the 2017/18 Women's Premier Handball League title with two games to spare after a hard-fought 30-20 victory over West London Eagles. In an exciting Thursday evening game at London’s iconic Copper Box Arena, venue for the London 2012 Olympic handball competition, Eagles pushed GD all the way but were unable to stop the champions maintaining their unbeaten record this season. GD went in at half time five goals ahead, and extended their lead by a further five goals in the second half. Top scorers for GD were Arantzazu Marin Pacheco, with seven, and Nikola Szymura with six. For Eagles, Noelly Chevallier continued her goal-scoring exploits with eight goals, all the more impressive considering this is Noelly’s first season playing for the Eagles. Eagles’ attention now turns to their weekend fixture against second-placed NEM Hawks. GD have two league games left this season and their challenge now is to see if they can maintain their unbeaten record.